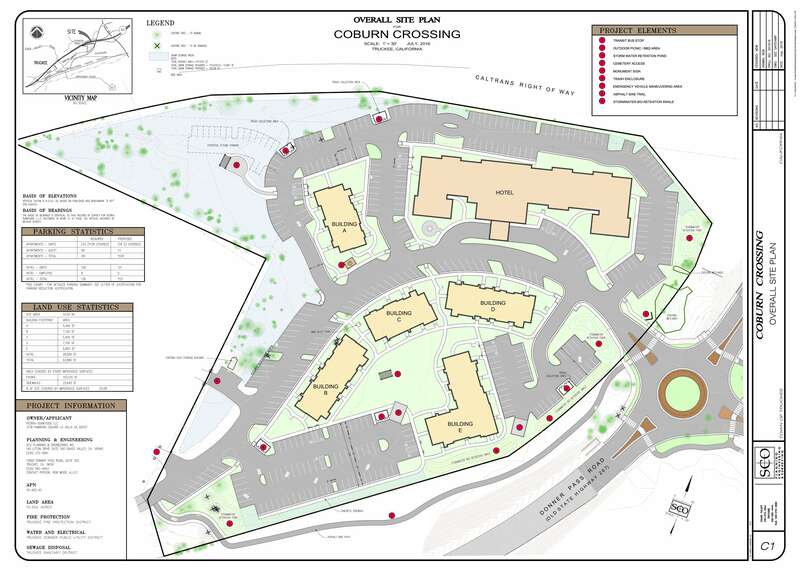 TRUCKEE, Calif. — The Truckee Planning Commission last week approved Triumph Development’s plans to build a 71,090 square-foot, three-story hotel and five three-story apartment buildings on the site of the Barsell property. The development, known as Coburn Crossing, would add a 114-room Marriott Hotel and 138 market-rate rental apartments to the property at 10470 E. Jibboom St., according to the town’s website. Though Triumph’s proposal didn’t receive the same negative reaction as other recent developments in the region, it wasn’t exactly a smooth approval. 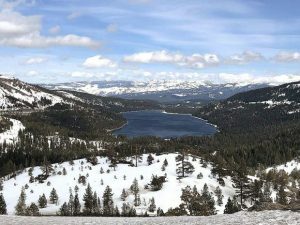 Community members who stood up during the Nov. 15 planning commission meeting, which began at 6 p.m. and lasted more than five hours, expressed concern about the project’s location next to the Truckee Cemetery. Several speakers also were worried extra traffic would put additional strain on downtown Truckee’s already over-burdened parking situation, and that the proposed sidewalk, which is meant to encourage less driving, may not be safe given its size and location. 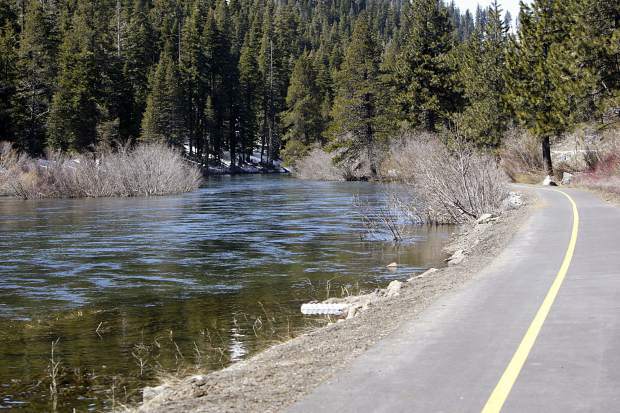 Ultimately, the commission recommended that Truckee Town Council, which will hear the proposal next, approve the project with several minor adjustments. According to an email from Truckee Associate Planner Yumie Dahn, those amendments include adding 27 extra parking spaces, that the housing units will require tenants be locally employed, and that more landscaping will be added to the perimeter adjacent to I-80 and the cemetery. 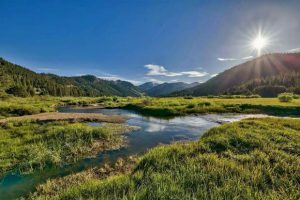 The project’s initial study and proposed mitigated negative declaration have been recirculated by the town, which is accepting comments through an extended date of Jan. 24. This overhead site view shows the initial proposal of the property, including where the roundabout would be in proximity to the hotel and housing developments.